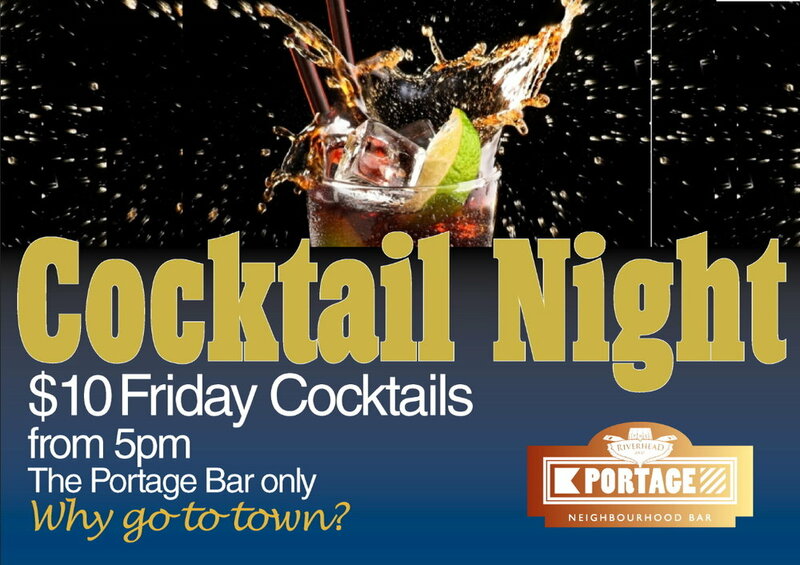 $10 Cocktail night - Friday nights in The Portage Bar! Flag going into town tonight and celebrate the end of another week - at your local! With $10 Cocktails, tonight (and every Friday!) in The Portage Bar PLUS free bar snacks chosen especially by our Chef... why would you go anywhere else? See you here from 5pm! Bring on the weekend! Rugby on the big screen - Saturdays!